During the event, players will be granted access to the 'Reveler's Tonic, which will need to be filled with 'Reveler's Essence' by eliminating the Verdant Forest's bosses and ticking off select in-game tasks. Once filled, the tonic can be consumed to reduce the cooldown on melee attacks, grenades, or class abilities. 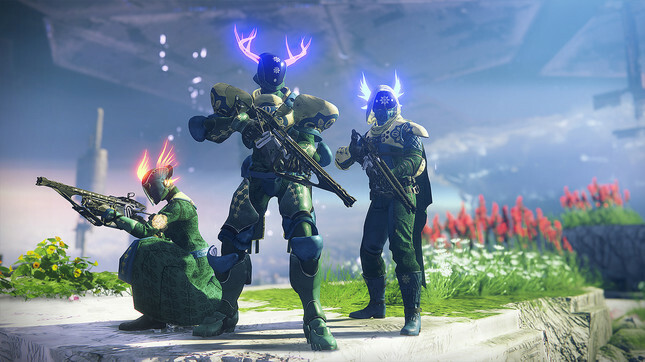 Players can increase the effectiveness of the 'Reveler's Tonic' by equipping parts of the Inaugural Revelry or Vernal Growth armour sets. The effects of the armour and the new tonic will apply across all game modes, with the exception of Private Matches and will remain throughout the limited-time event. Reveler's Essence can be turned in to Eva in exchange for "assorted rewards, including world drops, Enhancement Cores, and ornaments for the Inaugural Revelry helmet." Check out the trailer below for a look at what's coming to Destiny 2 during 'The Revelry' on April 16.